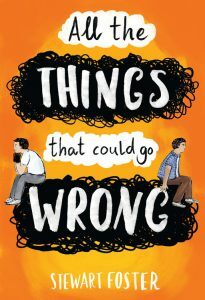 The protagonists in Stewart Foster’s recent release, All the Things That Could Go Wrong are enemies. Alex Jones is a germophobe with obsessive-compulsive disorder (OCD). His specialty subject is worrying. His classmate in Year 7, Dan Curtis is a curious young man with an active imagination who asks questions that sometimes irritate his teachers. He’s also angry and releases his anger by bullying people like Alex who don’t seem quite normal. Alex’s days are spent wondering how much longer Dan, Sophie, and the two Georges will go on bullying him and how much longer he will have to look for places to hide. Dan, Sophie, and the Georges call him Shark Face, and this name-calling is especially disturbing to Alex: “It only takes a second for [them] to say, but it hurts me for ages. I want to tell [them] to stop, but I don’t know how” (267). Distressed by his brother’s confinement in Oakhill Secure Training Center near London, Dan finds solace in working independently on Shooting Star, a raft construction project that he and his brother Ben had begun prior to Ben’s imprisonment. Similarly, Alex escapes into another world where all his worries about germs and bullies and everybody’s dying disappear when he plays his guitar. With his eyes scrunched tight, he can block out negative thoughts, strum, sing, and feel solitude. These two very different boys are forced together because their mums are friends. Not wanting to create conflict for their mothers, Alex and Dan endure each other at first, but eventually each begins to see beneath the other’s exterior. Just as Alex is more than his OCD, Dan turns out to be more than a bully. The two boys discover that being busy pushes their worries away. They also discover similar interests, like Star Wars films, and unique talents, like Alex’s ability to imitate the voices of various Star Wars characters. But how will they reconcile these separate identities? At school, Dan is expected to be a bully and Alex his victim. How they resolve their dilemma is as interesting as the two boys’ idiosyncratic lives. 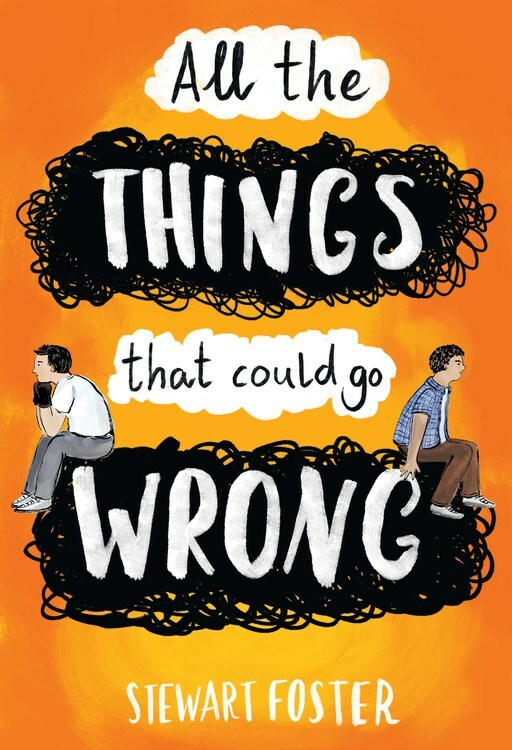 Readers of books like Do Not Pass Go by Kirkpatrick Hill, Kissing Doorknobs by Terry Spencer Hesser, or Not As Crazy As I Seem by George Harrar will likely enjoy Stewart Foster’s All the Things That Could Go Wrong. Tagged bullying, friendship, obsessive-compulsive disorder, prison. Bookmark the permalink.